Selecting your wedding flowers can be a big decision, however it can also be the smallest details that pull your dream wedding together. 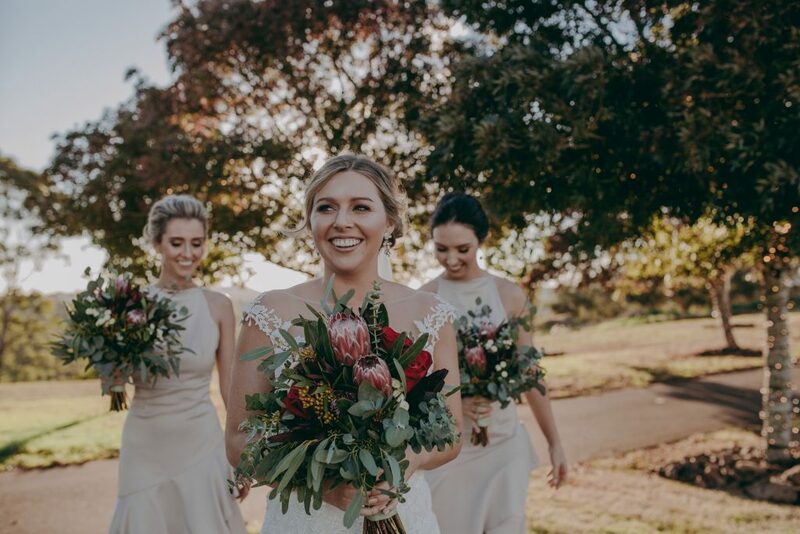 Australia’s native plants make for a perfect ‘natural’ touch to a wedding whether they are a part of the bouquet or sitting atop the reception tables. Native flowers have a unique, bold look to them and can make any floral arrangement pop! Bottle Brush, Banksias and Proteas are perfect as a feature floral. Wattle, Geraldton Wax and Billy Buttons are great for some softer, but quirky touches, and being full of colour they brighten up the bouquet. 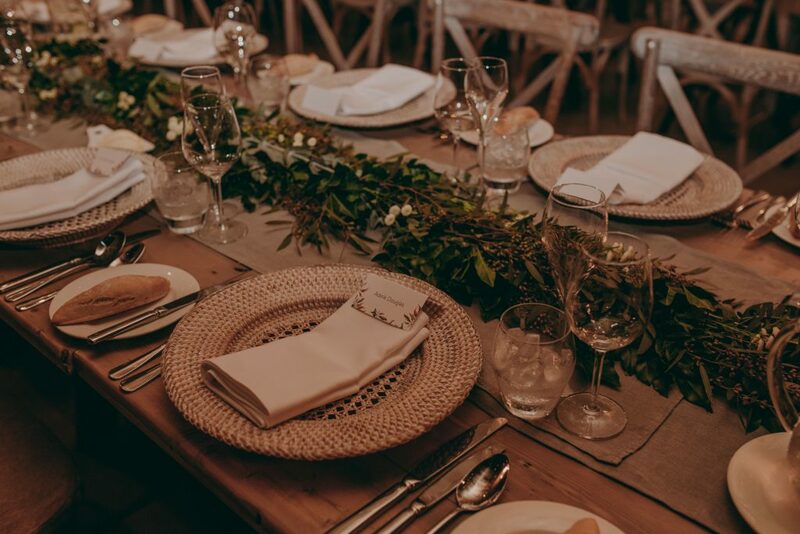 Another great native to incorporate into a wedding is some eucalyptus leaf- fill a bouquet with its greenery or place it along tables as a runner. A fairy-tale wedding wouldn’t be complete without some dramatic florals. 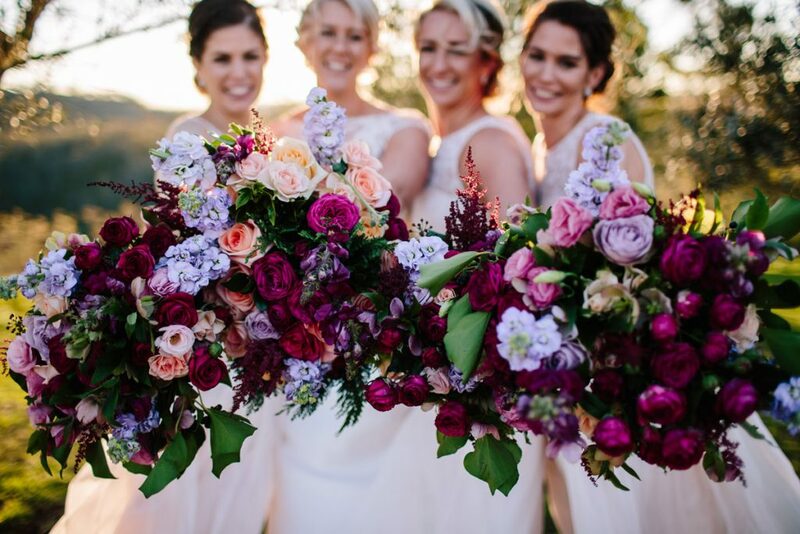 Choosing deep toned flowers can add a sense of moodiness- perfect for an Autumn wedding. Textured foliage, black velvety roses, dark orchids and touches of burgundy can bring a sense of luxury to the bouquet. Add some berries and dark greenery and you’ll have a full bouquet of blooms. Succulents and indoor plants have had a great year for popularity, but they don’t just have to be the green touches in a home, they can make great bouquets and table features. Succulents come in so many shapes and sizes so finding the perfect one won’t be difficult. The pastel green paired with some pink toned florals makes for a great Summer wedding bouquet. Large green leaves can also make for great additions to a bouquet. 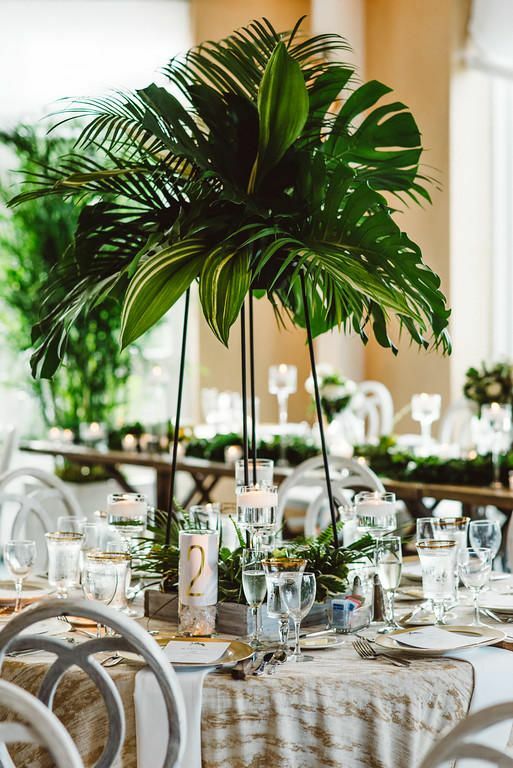 Grouping together some fern, monstera and palm leaves adds a coastal vibe and is perfect for sitting atop tables as a feature piece. Besides selecting the flowers themselves it’s important to consider where you’ll want them to be featured. Floral table features are an easy and gorgeous way to decorate a reception, whether you have small and simple bunches or extravagantly filled vases- it’s a great way to continue your wedding theme. Another option that’s becoming more popular is to have an arbour decorated with some flowers, it becomes a great backdrop for a wedding ceremony, especially when it overlooks a great view! Smaller floral touches could be included on the guest chairs or on any signage that you may have. No matter what style you choose, we have the space to create whatever type of wedding you like (with plenty of room for all the flowers you could want). 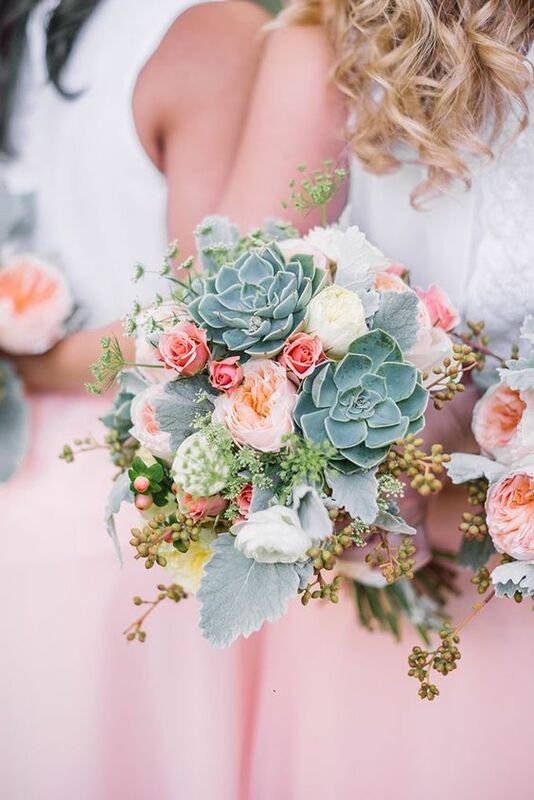 We have some wonderful local florists and stylists we love working with so feel free to chat to us about some recommendations for your perfect day.